The Free University of Brussels (French: Université Libre de Bruxelles) was a university in Brussels, Belgium established in 1834. The university, founded on the principle of secularism by Pierre-Théodore Verhaegen and Auguste Baron in 1834, formed part of a reaction to Catholic dominance in Belgian education. In 1969, during the Linguistic Wars, it split into two separate universities: the French-speaking Université Libre de Bruxelles (known as ULB) and the Dutch-speaking Vrije Universiteit Brussel (VUB). The two universities continue to collaborate, and are together referred to as the Brussels Free Universities. In the nineteenth century, courses at the Free University of Brussels were taught exclusively in French, the language of the upper class in Belgium at that time. However, with the Dutch-speaking population asking for more rights in Belgium, some courses were already taught in Dutch at the Faculty of Law as early as 1935. Nevertheless, it was not until 1963 that all faculties offered their courses in Dutch. On 1 October 1969, the university was finally split in two sister institutions: the French-speaking Université Libre de Bruxelles (ULB) and the Dutch-speaking Vrije Universiteit Brussel (VUB). This splitting became official by the law of 28 May 1970, of the Belgian parliament, by which the Vrije Universiteit Brussel and the Université Libre de Bruxelles became two separate legal entities. Some argue that ULB came off better; it is higher ranked in most international rankings (201-225, World University Rankings 2014-5), and has kept most of the historic buildings in Solbosch, as well as developing a modern science campus along Pleinlaan in Etterbeek (Campus de la Pleine). VUB, on the other hand, started afresh and its smaller campus footprint, right next to the ULB science campus, and is dominated by concrete buildings built in the 1970s, and now decaying. The fact that most of its academic staff publish and can teach in English has given it an edge in some areas, but its ranking is lower (351-400, World University Rankings 2014-5). Undergraduate and some postgraduate teaching is in Dutch. ↑ Witte, Els (eds.) (1996). 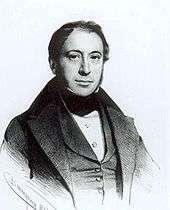 Pierre-Théodore Verhaegen (1796–1862). 'VUB'Press (in Dutch). Brussels. ISBN 90-5487-140-7. ↑ "About the University: Culture and History". Vrije Universiteit Brussel. Retrieved 25 November 2007. ↑ "Law of 28 May 1970, concerning the splitting of the universities in Brussels and Leuven" (in Dutch). Belgisch Staatsblad/Flemish Government. Retrieved 25 November 2007. 1 2 "World University Rankings". Times Higher Education (THE).